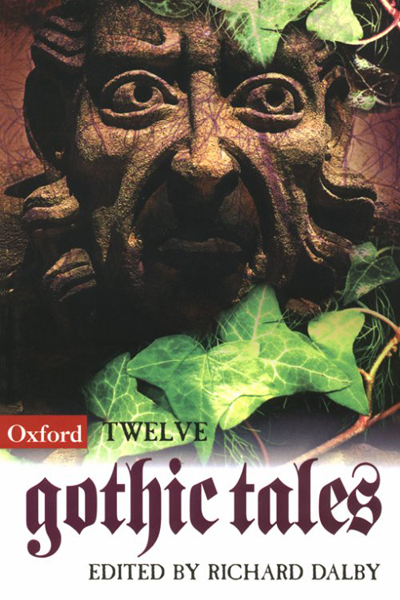 Twelve Gothic Tales - Richard Dalby | Vault Of Evil: Brit Horror Pulp Plus! A nicely eclectic and scholarly collection, with a lot of interesting detail. (Did you know that "Metzengerstein" was Poe's first published story? I didn't.) The crowning glory, in my opinion, is the pride of place it gives to Gerald Durrell's wonderful novella, "The Entrance". I can't remember reading any of the younger Durrell's fictional works before, but this alone is an astonishing piece of work, culminating in an extended suspense sequence that is truly masterful. Are these all actual stories ? Because if I hate something, it's taking a chapter out of a big, already established book like Dracula, and forcing it into a short story anthology as a "story" . 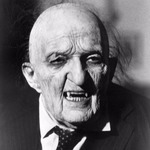 We have more then enough Dracula in novel form, craming parts of it into anthologies is over the top. They're all complete stories (in Maturin's case, "Leixlip Castle" is apparently his only surviving short story). The crowning glory, in my opinion, is the pride of place it gives to Gerald Durrell's wonderful novella, "The Entrance". I can't remember reading any of the younger Durrell's fictional works before, but this alone is an astonishing piece of work, culminating in an extended suspense sequence that is truly masterful. I bought a copy of the Fontana paperback of Durrell's collection The Picnic and Suchlike Pandemonium for The Entrance, having seen it listed in Rosemary Pardoe's The James Gang section of Meddling With Ghosts, edited by Ramsey Campbell. I'm not sure what readers expecting the usual humorous family and animal antics of the other stories in the book would have thought when faced with this novella-length piece - by far the longest piece in the book - but it caused me a few delightful shudders along the way and certainly displays a strongly Jamesian influence. Yes, "The Entrance" is pretty impressive, and very Jamesian, isn't it? It certainly is, on both counts. It has echoes of specific MRJ tales - a touch of Lost Hearts here, a dash of The Mezzotint or Number 13 there - but does its own thing, and does it very well. I loved the atmosphere and building suspense. It's a good job I'm unlikely to ever be asked to compile an anthology of favourite Jamesian tales, as I think it would require a shelf full of volumes to even scratch the surface. I read "The Entrance" last night. I enjoyed it a lot, but I do not see how it is "Jamesian." Is there an accepted definition of "Jamesian"? To me it means something centrally involving antiquarian scholarship, which is not the case here. I also do not see the purpose served by the framing story. A guy goes to visit his friends, who give him an interesting manuscript to read. Why are we interested in the guy and his friends? We are not; we are interested in the interesting manuscript, with which they have no connection whatsoever. Nothing would be lost, and, indeed, the story would be better, if the guy and his friends were removed. It is oddly amateurish for a professional writer. Not all of MRJ's tales revolve around antiquarian scholarship, so I certainly wouldn't say it's a prerequisite. As to the framing story, from the perspective of Durrell's usual writings, which involve autobiographical details, it eases the reader into the tale rather than simply presenting them with an out of character and out of the blue ghost story. In the MRJ tradition, and that of many other ghost stories, the finding of a manuscript or the telling of an allegedly true story by another party is a long-established established trope, and it's a method of placing the 'evidence' in front of the reader then allowing them to make their own judgement on its veracity. In the MRJ tradition, and that of many other ghost stories, the finding of a manuscript or the telling of an allegedly true story by another party is a long-established established trope, and it's a method of placing the 'evidence' in front of the reader then allowing them to make their own judgement on its veracity. Of course. I am not objecting to this type of framing device in general; I am objecting to the particular one in this story. Also, something really peculiar and distracting happens in the framing story. Apparently the guy and his friends eat whole truffles, baked in pastry. This is not something I ever heard of anybody doing, or would recommend. EDIT: Apparently the French do prepare and eat whole black truffles. I found some recipes. It still seems strange to me. It took me out of the story. That is a useful thing to have! I'm afraid that looks like a very suspect site to me - as suspect as its disclaimer. Note especially the last sentence. All materials on this site are intended only to satisfy the curiosity of the respected visitors, the authors are not responsible for the possible consequences of using them for purposes prohibited by the Criminal Code of the Russian Federation and international law. Under no circumstances and circumstances, responsibility for the consequences that directly or indirectly entailed the use of materials presented on this site, can not be entrusted to the authors of the site or owners of hosting, and to be the basis for their prosecution. Books placed on this site can be downloaded by the user only if the user has a hard copy of this book, purchased from distributors of printed materials. The books on the site are intended for the convenience of users when using hard copies in their hard copies. If you do not have a hard copy of the book (in paper form) posted on this site, you do not have the right to download books from this site. If you agree with the above conditions, you can continue to review the materials. Otherwise, you are advised to immediately leave the site and look for something else. Rightholders, distributors, book printers, advertising agents, please do not disturb." I plead guilty but insane.